Our stand was extremely busy again for the most recent Ideal Homes Show. Over 27,000 people came through the doors! Wright Windows had the most popular quality windows and doors on display including Wrights Eco Aluminium, the R9 Legacy Collection, Alu clad and Roof Lights. 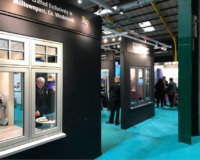 We’re looking forward to meeting more homeowners at our window showroom just 1 hour from Dublin or at Wright Windows stand at Ideal Homes Show Spring 2019 on 12 – 14th April 2019. Wright Windows are delighted to be again exhibiting at the Ideal Homes Show 2018 this Spring in the RDS (20 – 22 April 2018). The Wright Windows’ stand is always popular and we’ll have our team of knowledgeable staff ready to answer your new window and door questions. We love meeting with people and discussing various window and door solutions on offer to suit your needs. We look forward to seeing you at this Spring’s show. If you are looking for a window company you’ll be glad you chose Wright Windows (www.WrightWindows.ie). See https://idealhome.ie/wright-windows/ or www.WrightWindows.ie for more information. 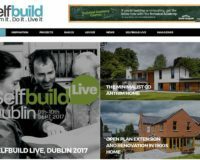 Wright Windows are delighted to be again exhibiting at the Ideal Homes Show in the RDS (27 – 30th October 2017). We’ve had a number of extremely busy years at the Show and have been delighted to welcome so many people to our stand and answer your window and door questions. We look forward to seeing you at this Autumn’s show. If you are looking for a quality window company you’ll be glad to came to WrightWindows (www.WrightWindows.ie). See https://idealhome.ie/ or www.WrightWindows.ie for more information. – R9 Legacy range of flush sash casement windows and doors. – Sapa 75Si thermally-efficient aluminium windows. We look forward to seeing you there and answering any questions you may have regarding your window and door requirements. Our R9 Legacy range of windows has achieved NSAI certification. The 28mm double glazed window achieves a certified U-value of 1.2, while the 44mm triple glazed window achieves a certified U-value of 0.8. We have opened a 400 sq.ft. extension to our showroom at Milltownpass to incorporate our exciting new R9 Legacy range. Only 40 minutes from Lucan, you can visit us Monday – Friday from 9.30 am to 5.00pm, or outside these hours by appointment. We are delighted to announce that Cosgrave Developments have selected the R9 Legacy window for their exclusive housing development at Thormanby Hill, Thormanby Road, Howth. We wish to announce the introduction of the R9 Legacy range of windows. Designed to replicate Flush Sash timber windows, R9 Legacy is made from a modern composite material and achieves the highest energy-efficiency and weather performance results. Wright Windows are the exclusive manufacturers of R9 Legacy in the Republic of Ireland. This exciting new development is supported by a substantial investment by the company on the expansion of our production facilities at Milltownpass. We are delighted to announce an agreement with Profile Systems Holdings for the supply of the new C70 Kommerling suite of window and door systems.